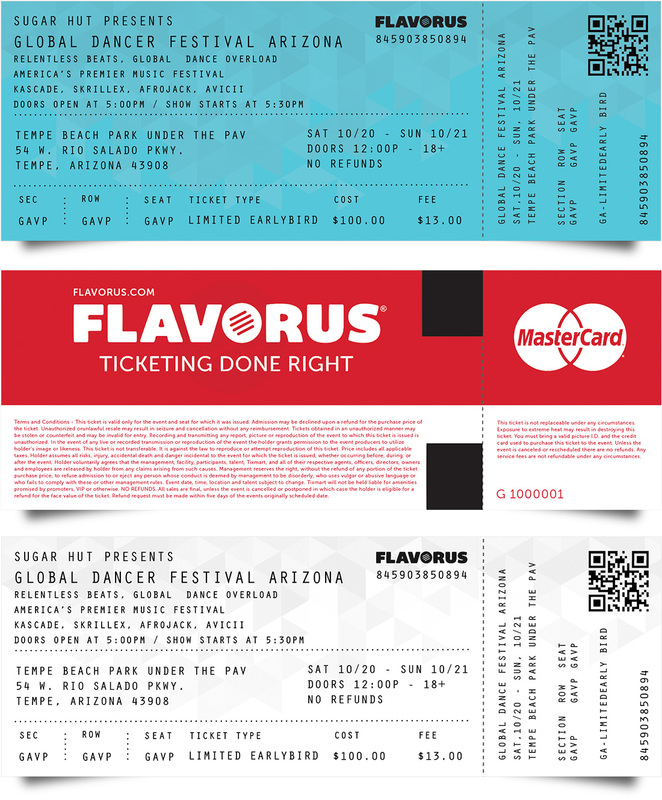 Flavorus is a ticketing company specializing in festivals and music events. The current ticket design was executed in 2010 and faced legibility issues. Cluttered text, complicated background graphics and a heavy typeface being the problem areas. Using a grid layout to place content strategically in areas that created hierarchy and readability, I also shifted to a lighter font and kerned the letters of each word out creating breathability in the text. The geometric background shape that will serve as a security against fraudulent printers and create an option to customize with various colors.